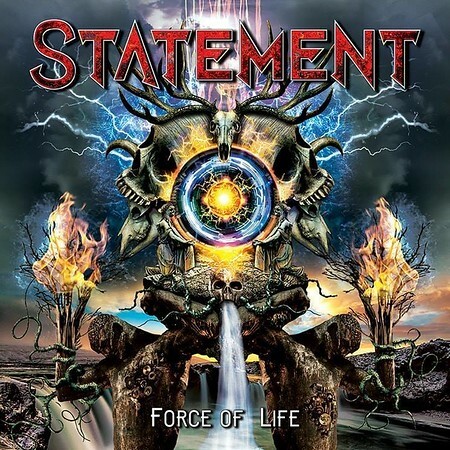 “Force of Life” is the third album from Danish band Statement and it was released on 1st March via Mighty Music. The hard rockers completed a European tour with Diamond Head last year and then did a UK tour with English band Gin Annie earlier this year. The first single from the album was “I Wonder Why” which was included on the Friday NI Rocks Show last November. The track “The Hero Inside” was included on the Show on the 15th March. Statement was formed in 2011 by Niels Alex and Jannick Brochdorf. The former had been in bands for almost twenty years and as drummer in the band Pilgrimz supported many big name bands and played in festivals across Europe. In Statement however, he became the lead guitarist, whilst Brochdorf was the lead singer. Their debut album “Monsters” was released in 2014 and was followed by “Heaven Will Burn” in 2016. The first two albums were recorded with Tue Madsen at Antfarm Studio, but the latest album was recorded with Soren Andersen, the producer who has worked with Mike Tramp, Glenn Hughes and Marco Mendoza.